By 2040, an estimated 140 million rural Africans will get electricity from mini-grids, requiring more than 100,000 mini-grids to be built. 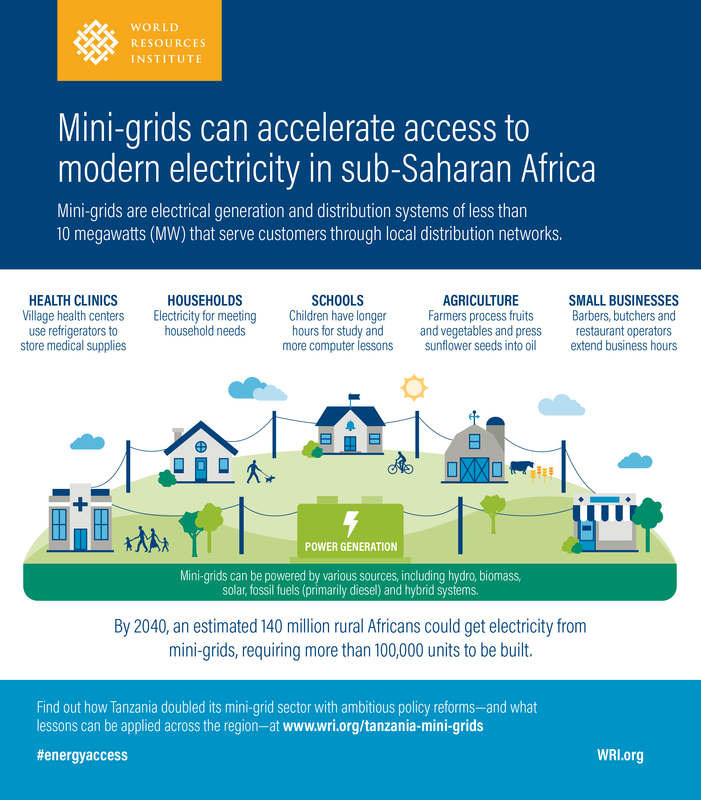 By generating electricity close to where it’s needed, mini-grids can become the standard choice for the millions of rural Africans who live far from the central grid. Read our report, Accelerating Mini-grid Deployment in Sub-Saharan Africa: Lessons from Tanzania.